You pass that nice little old couple in the little RV on the highway and think, “Ah, how nice. Retirees savoring their golden years.” Well, maybe not. In the years since the Great Recession, a new population of older Americans has taken to the road - in RVs and campers and just their cars - out of something like desperation. Unable to afford their homes. Traveling for seasonal work wherever they can find it. Amazon warehouses. National parks. This hour, On Point: The new nomads of the changing American economy. --Tom Ashbrook. 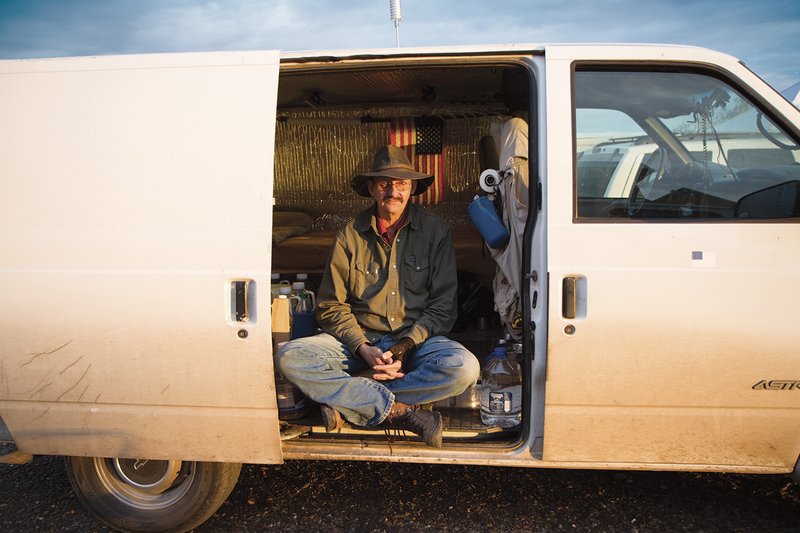 WIRED: Meet The Camperforce, Amazon's Nomadic Retiree Army — "Many of the workers who joined Camper­Force were around traditional retirement age, in their sixties or even seventies. They were glad to have a job, even if it involved walking as many as 15 miles a day on the concrete floor of a warehouse. From a hiring perspective, the RVers were a dream labor force. They showed up on demand and dispersed just before Christmas in what the company cheerfully called a “taillight parade.” They asked for little in the way of benefits or protections." The New York Times: On the Road With the Casualties of the Great Recession — "“Nomadland” is part of a fleet of recent books about the gig economy. More than most, it’s able to comfortably contain various contradictions: “The nomads I’d been interviewing for months were neither powerless victims nor carefree adventurers,” Bruder writes. Their lives are shown to be harsh and exhilarating, lonely and full of community. They swap tips for finding cheap dental care and “stealth parking”; they congregate at the “Rubber Tramp Rendezvous,” a kind of Burning Man for the elderly, mobile set. “When someone’s van breaks down, they pass the hat,” Bruder writes. “Around a shared campfire, in the middle of the night, it can feel like a glimpse of utopia." USA Today: No End To The Daily Grind? Older Americans Plan To Work In Retirement — "The lingering aftereffects of the Great Recession at least partly explain the widespread desire to put off the traditional rewards of toiling 30 to 40 years. Bouts of unemployment, the housing crash, aid provided to distressed family members and mountains of student debt are some of the factors that respondents say are making it tough to save enough for retirement." Read An Excerpt of "Nomadland"
This program aired on September 27, 2017.